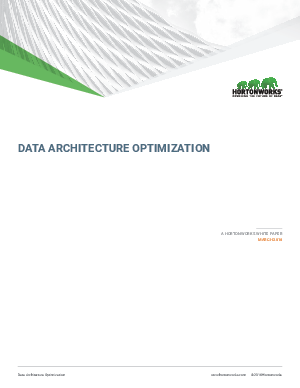 Data Architecture Optimization describes an approach to apply Apache Hadoop and related community-driven open source technologies to make data architectures capable of realizing new and improved business outcomes while driving significant cost out of the IT budget. The rapid growth in data volumes from a wide range of new sources indeed offers disruptive opportunity to those who can put it to use. There is a change in mindset among IT organizations and data architects, who now look to capture all data, keep it longer, and prepare to use the data in new ways as business conditions evolve. These changes create dramatic pressure on traditional data architectures, which were built to support structured data with modest growth.